Hilton Head Island has always been well-known as a golfer's paradise, but its quickly becoming recognized for the multitude of activities available off the course. With well over 30 shopping areas and 500 retail locations, the island genuinely is a shoppers' delight! The expression "shop 'til you drop" is particularly true on Hilton Head Island, which boast just about every type of shopping opportunity a person could ask for - from chic boutiques to clothiers to galleries to department stores to exclusive factory outlet stores. Shoppers from major cities drive hundreds of miles to save money at the upscale outlet malls for which Hilton Head has become well-known. Some of the top names in women's and men's fashion have outlet stores on the island and on the mainland near the bridge to the island. Hilton Head is a mecca for shopping. There is literally something for everyone. Visitors who prefer specialty shops and boutiques can choose from a variety of waterfront and village-like shopping areas. The island boasts shops with handmade crafts, many derived from the Gullah traditions developed by some of our region's some African American residents. Art galleries and shops geared to "one of a kind" collections are earliest throughout the area. Small specialty boutiques for the discriminating browsers abound. Hilton Head is also home to upscale retail department stores and chains. But probably the most famous and widely appealing shopping on Hilton Head is found at the many factory direct or discount stores. These brand-name stores offer savings of as much as 75 percent off retail prices and can turn a shopping trip into a huge savings trip. 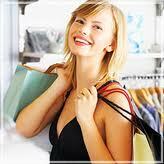 Hilton Head Island offers shoppers fine quality products and a pleasant shopping atmosphere. Shopping areas on Hilton Head range from delightful little clusters of stores in park-like settings complete with lagoons and fountains to sophisticated full-service shopping centers where you will find well known national and regional specialty stores. Shops that specialize in handmade crafts and others that sell "pre-owned" merchandise, from furniture to clothing, add to the variety of places to shop. A wide variety of distinctive art galleries, such as Endangered Arts, and the Pink House Gallery, antique stores, bookstores, specialty gift shops , furniture stores, gourmet stores, candy stores, sporting goods shops and jewelers round out the Hilton Head Island shopping experience. More than 200 on-island shops are clustered in intimate plazas, quaint marinas, elegant harbors and full-service shopping centers which compliment the island's environment, architecture and history. 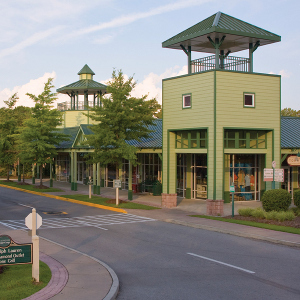 Coligny Plaza, located on the south end of Hilton Head, is an attractive shopping facility built around a large lagoon complete with waterfowl and free entertainment offered during the summer. Shoppers at Harbour Town enjoy elegant shops, plus charming harbor-side surroundings. At Main Street Village, located north of Hilton Head Plantation, charming shops restaurants and other business establishments are located in a very pleasant colonial setting. Shelter Cove Mall is a modern enclosed-shopping mall located mid-island. It includes two major department stores and numerous shops. At the numerous factory stores on the island, the sale never ends. Shop like crazy and save like mad at the Hilton Head Factory Stores at the Gateway to the Island where shoppers can save 20-70 percent off the original retail prices at more than 80 outlets. Shopping is not just a rainy day activity on Hilton Head. It ranks among golf and tennis as one of the most popular sports for visitors to the island. Why not set aside some time for shopping while you are here? The selection, quality and values are excellent, and at what better location to get what you are really looking for?